David Gray has agreed to extend his contract with the club until the summer of 2017. The former Manchester United full-back became Head Coach Alan Stubbs’ first signing last summer and made 34 appearances scoring three goals during his debut campaign. Speaking to Hibs TV, Gray said: “I’m delighted to be in a situation where I’ve been able to extend my deal with Hibs – I’ve thoroughly enjoyed my first season at the club. “As much as it was disappointing not to achieve our goal of promotion, I’m still very excited about the future and I was desperate to be a part of it. “Next season we need to make sure that we hit the ground running. 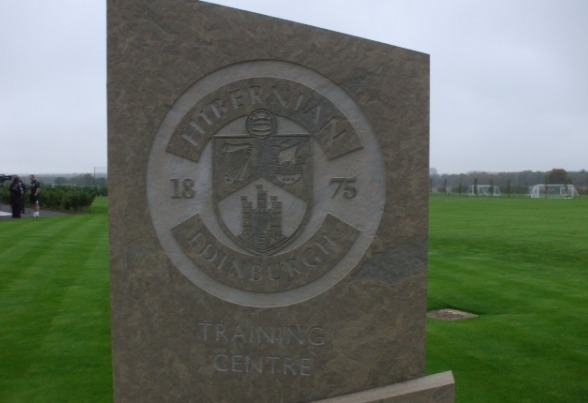 Stubbs welcomed the news and announced David has been appointed Hibernian’s new club captain. Stubbs said: “This is great news as we continue to prepare for next season and it will give everybody here at the club a lift. “I’ve also decided to appoint David our new club captain and I’m sure he will be well equipped for the role. “Since day one, David has been an important and influential member of the squad and the supporters appreciate the qualities he brings to the team. Leeann Dempster said “We are delighted that David has committed to the Club for a further year.